Meet Bob Ferry, a 51-year-old machinist from Louisville, Kentucky. 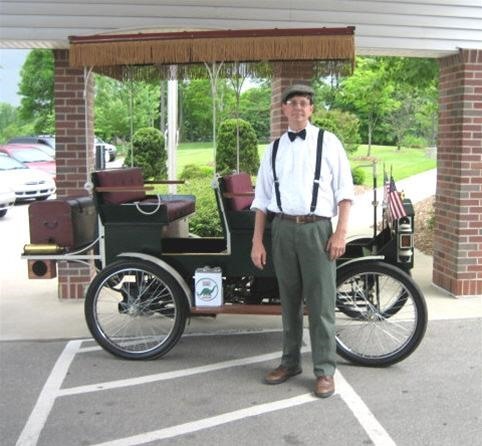 According to Inside Google Books, Ferry dug through Google's massive catalogue of 3 million+ free books, and collected enough vintage plans to customize his own working replica of the 1906 Oldsmobile Model B Runabout. Though Ferry had already obtained an initial set of plans for the Oldsmobile through a fellow replica car-builder, he uploaded over 100 additional Google Books to his iPad in order to add original details that were lacking in the original blueprints. "My car is powered by a 17-year-old Briggs & Stratton 12 HP engine and a hydrostatic transmission from a 15-20-year-old Craftsman riding mower. 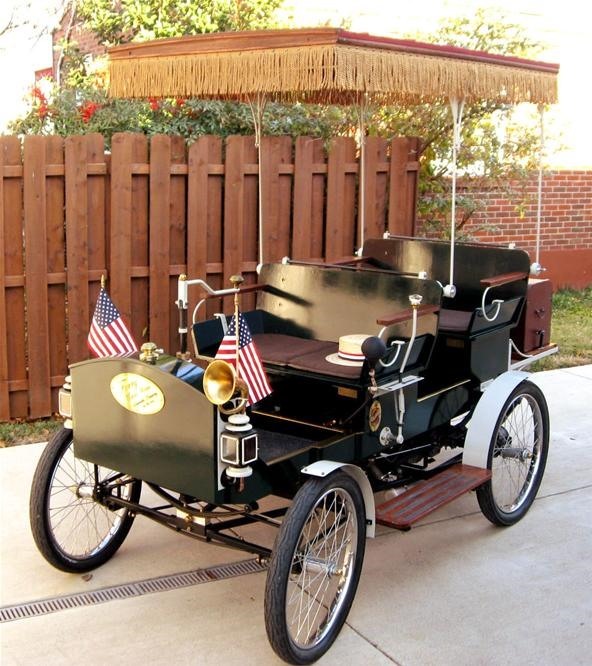 It is steered with a tiller arm (no steering wheel) and reaches a blazing top speed of about 6-7 miles per hour." What's next? Ferry plans to use Google Books to aid in several future builds, including a 1902 De Dion Bouton French car, a 1920 Norton Racer Motorcycle and an Orient Buckboard.